ISLAMABAD: Pakistan Muslim League- Nawaz (PML-N) President Shehbaz Sharif along with party leaders Khawaja Asif and Saad Rafique arrived in Islamabad on Monday for a a number of meetings. According to reports, Jamiat Ulema-e-Islam- Fazl (JUI-F) called on Shehbaz at the ministers’ enclave where they exchanged views on various political issues. Rehman was reportedly informed that the PML-N will not boycott the Parliament. Likewise, a meeting was held between Shehbaz and a delegation of the Awami National Party (ANP). After a meeting of senior PML-N leaders, Shehbaz challenged the “sham elections” and vowed to raise the issue on all platforms while also attempting to achieve a consensus for the opposition leader in the National Assembly. 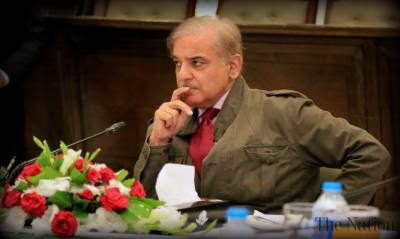 Shehbaz is also expected to meet former prime minister Nawaz Sharif at the Pakistan Institute of Medical Sciences (PIMS) on Sunday. Punjab Home Minister Shaukat Javed said that Shehbaz has not yet been cleared to meet the former prime minister at the hospital. Additionally, the PML-N leader is scheduled to meet Pakistan People’s Party (PPP) leaders as well.